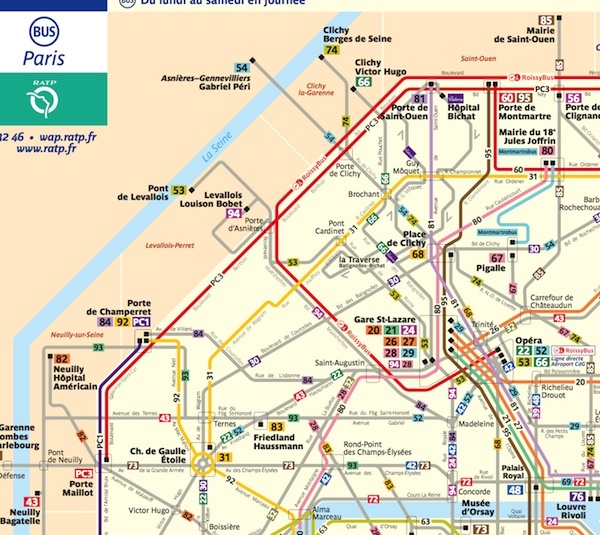 Download a map of Paris city bus. This Paris bus map also lists operating days for Paris bus lines, and bus frequency (approximate). Buses use the same ticket as Paris Metro tickets, the Ticket t+. It’s better to buy bus tickets before you get on the bus as the bus drivers sell tickets that are more expensive ( vs. ) and you cannot transfer to other bus lines with the ticket “sans correspondance” which bus drivers sell.